SPRAYIT SP-33000 - LVLP Gravity Feed Spray Gun Tip & Needle Kits. 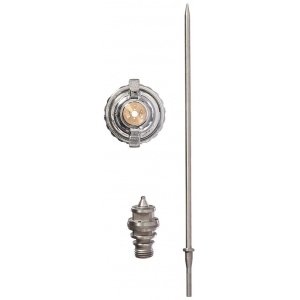 The Stainless Steel Fluid Needle and Nozzle are corrosion resistant for longer life. This product is shipped from our warehouse in San Diego, CA, USA.